This could be the sweetest coming out you'll ever see. 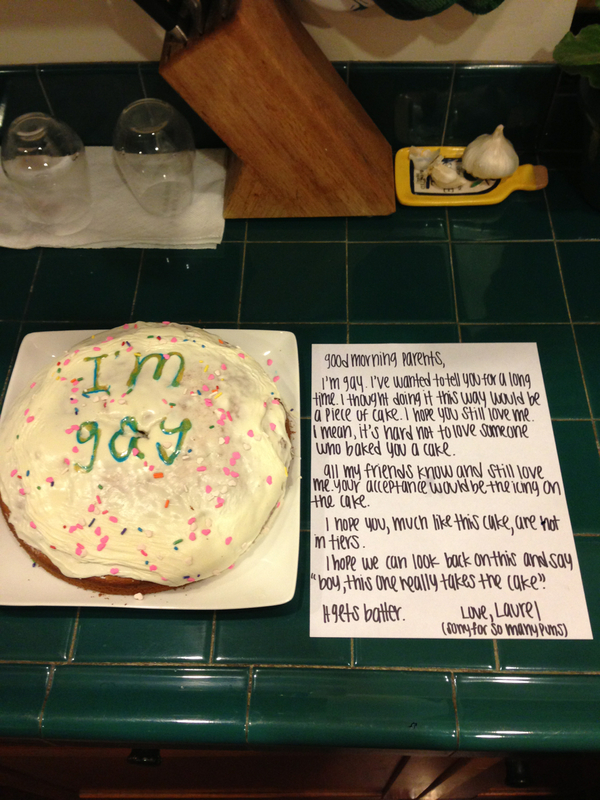 Tumblr user ellende-generes, identified only as Laurel, recently came out gay to her parents in what might be the best way I’ve ever seen: by baking them a cake. I’m gay. I’ve wanted to tell you for a long time. I thought doing it this way would be a piece of cake. I hope you still love me. 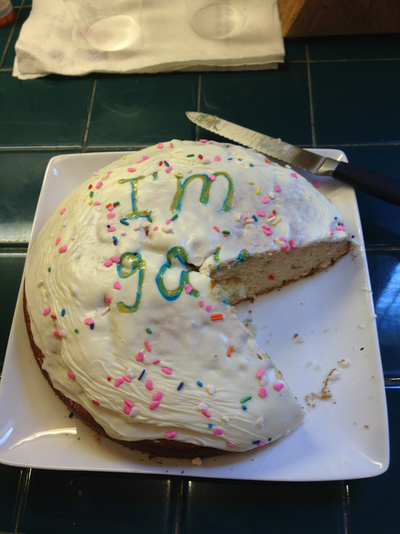 I mean, it’s hard not to love someone who baked you a cake. The coming out was reportedly a success, because how could it not be? There was cake. Here is the update.